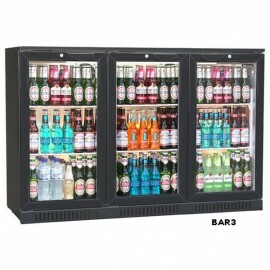 A stylish and energy efficient back bar under counter with space-saving sliding doors. 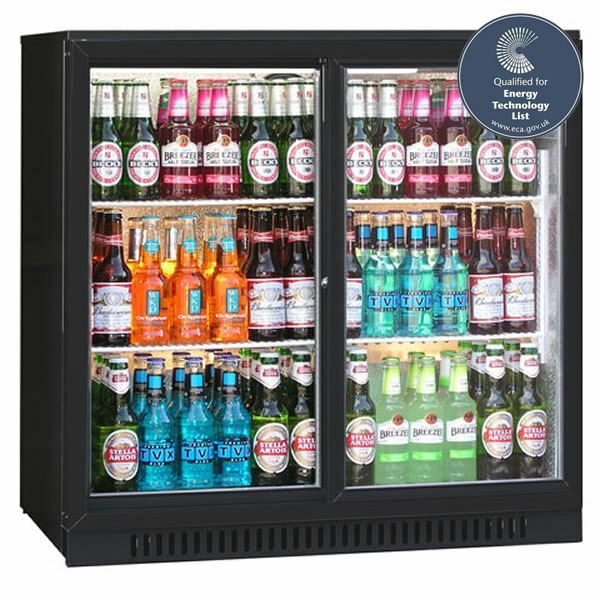 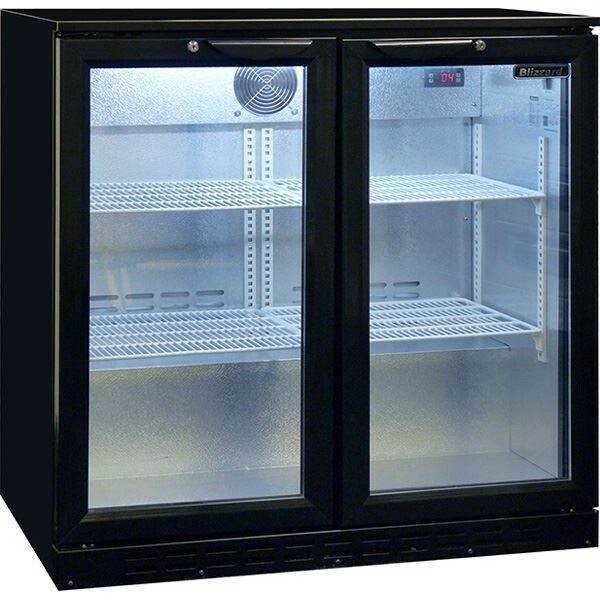 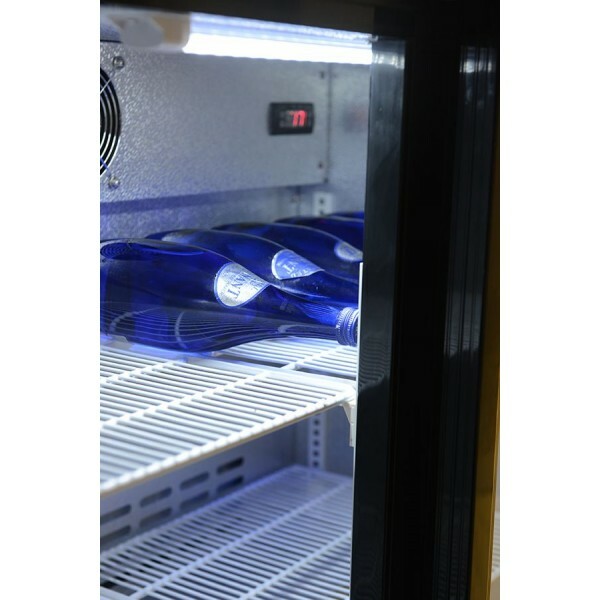 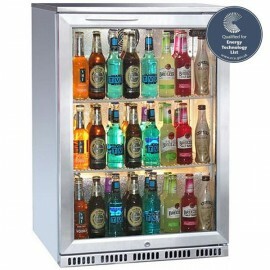 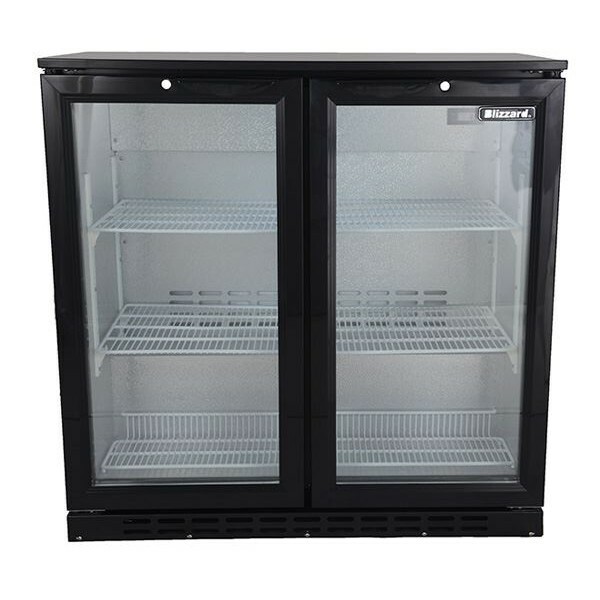 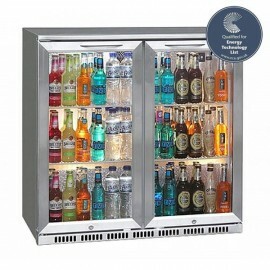 The unit comes with capacity for 182 bottles with two adjustable 2 shelves per door section. 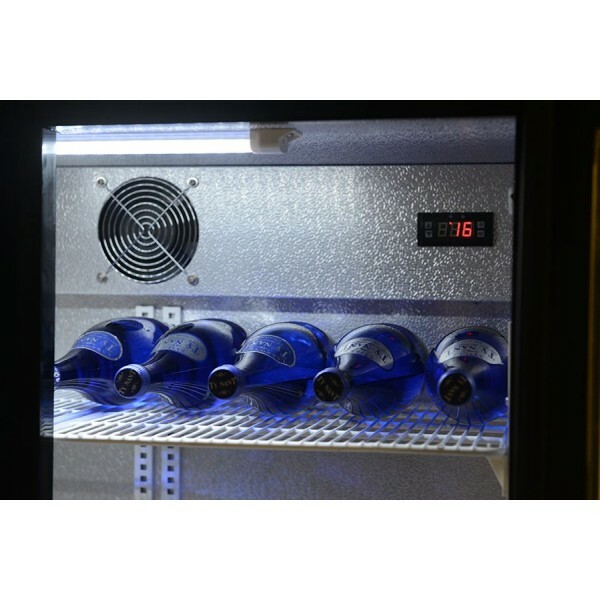 With a stylish black exterior and stippled aluminium interior the unit is at home in any bar area and with a simple 13 amp connection the unit cab be plugged in and is ready for use. 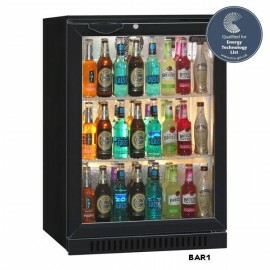 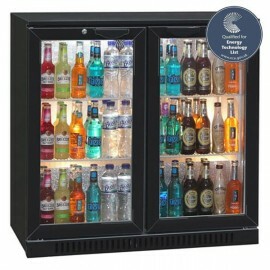 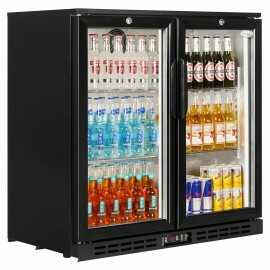 Part of the Blizzard back bar range which include single, double and triple door versions.